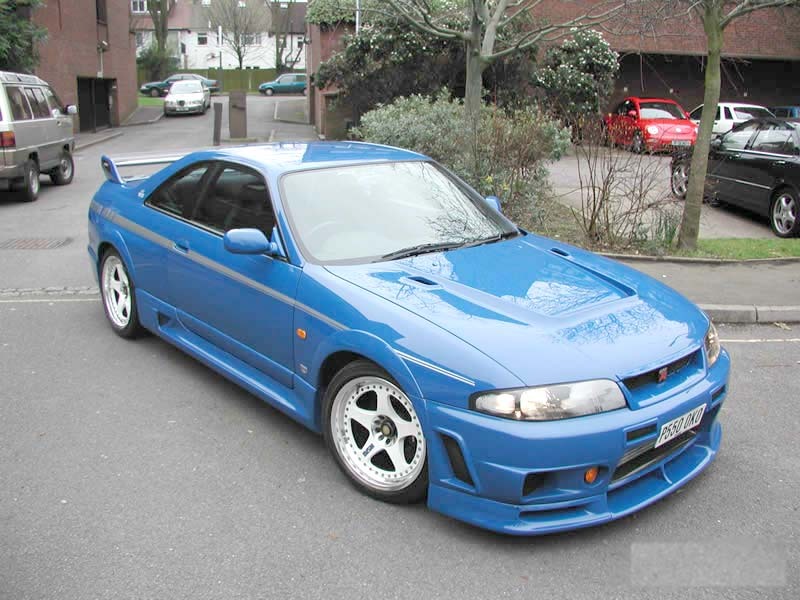 The R33 GT-R, introduced in 1994, started with the good aspects of the R32 and improved them. 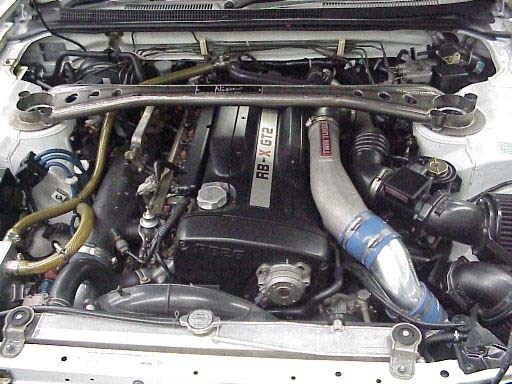 The RB26DETT from the R32 was utilized with an improved intercooler, higher peak boost, and adjusted computer parameters that allowed for additional torque (271ft-lb @ 4000rpm). The gearbox, ATTESA-ETS (Advanced Total Traction Engineering System for All - Electronic Torque Split) all-wheel drive system, and rear Limited Slip Differential remained the same. Power was still listed as 280hp, although 302hp is more accurate. The V-Spec version receives revised ATTESSA settings, and a stiffer suspension with a 10mm drop in comparison to the base GT-R.
Rear suspension mount-points received additional bracing and overall travel is increased. Super HICAS now monitors front and rear yaw rates for improved handling. The base GT-R now comes with the brake upgrades from the R32 V-Spec version. 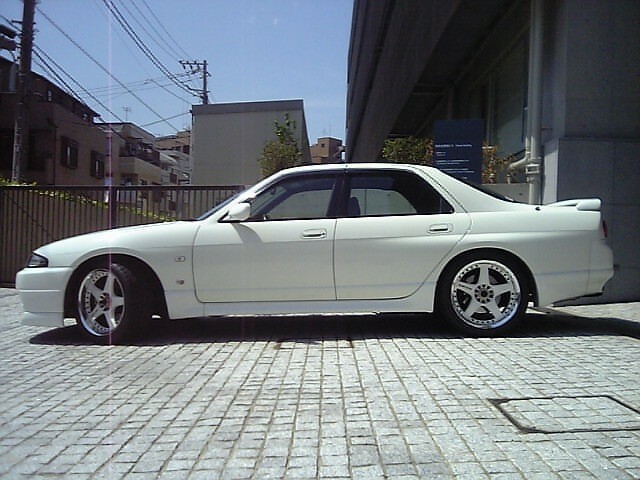 Externally, the R33 is wider (1780mm), longer (4675mm), and higher (1360mm) than the previous R32. A new multi-piece rear wing is being utilized that allows four different settings for downforce (0°, 6°, 12° and 18°). Coefficient of Drag is rated at 0.35 - 0.39 dependant on the angle of the wing. Wheel housings are widened to support 245/45/17 tires and, as with the R32, the hood and fender flares are made of aluminum. 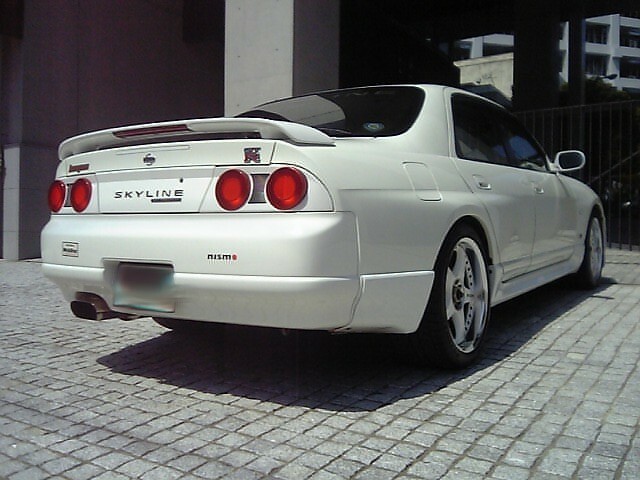 The R33 also received new side sills. The interior has the addition of oil-temperature and torque distribution gauges. Airbags are now standard as of 1995. 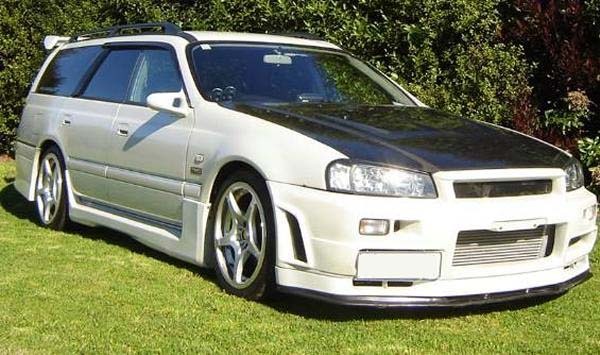 With the additional length, the R33 GT-R is more roomy than the R32 version and offers more trunk space. To celebrate their 40th anniversary, Nissan introduced a very rare 4 door GT-R. Two versions of the 4-door GT-R were available from Nissan's subsidiaries: the first was produced by Autech, and the second was a joint Autech/Nismo project. 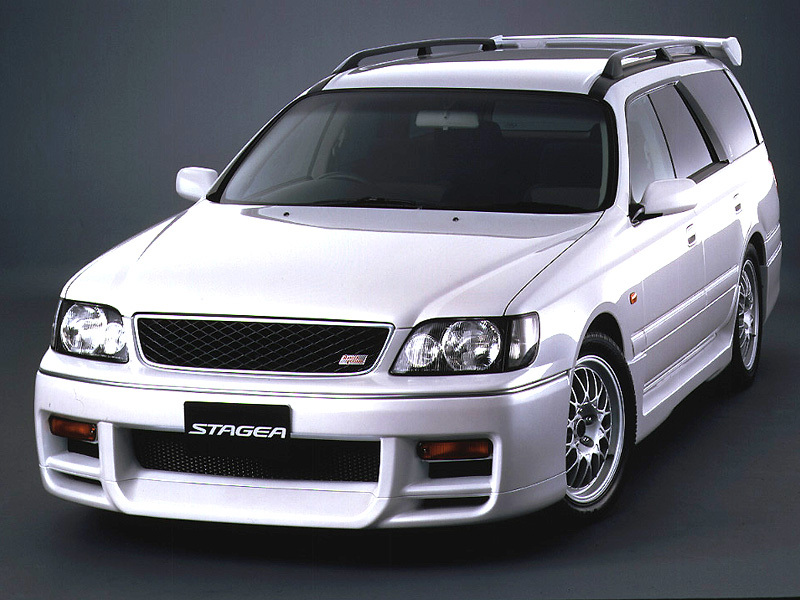 A Stagea was also released with full GT-R running gear, the RB26DETT engine, and manual transmission. 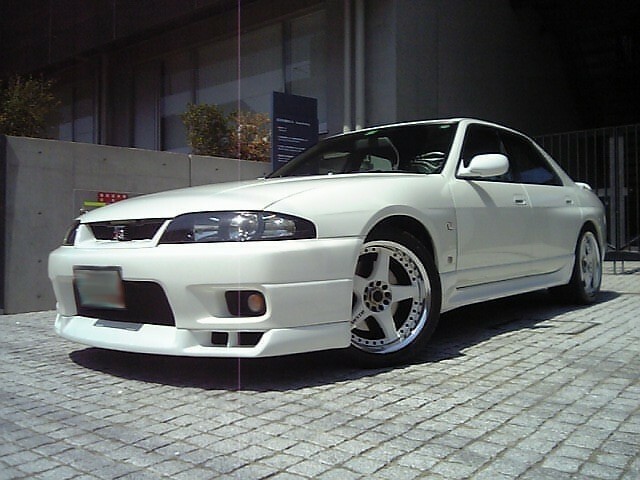 Finally, a NISMO version was released and was similar to the 400R yet with only 380hp. 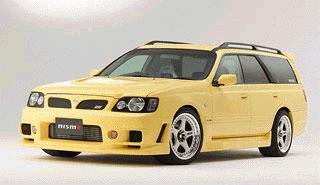 In 1996, Nissan released the NISMO 400R. 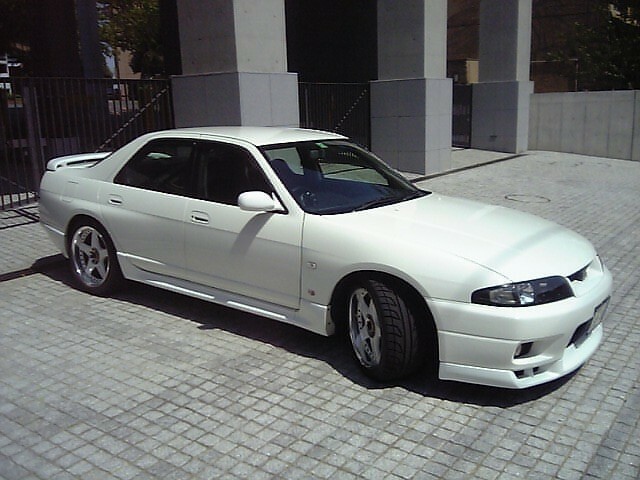 It was based upon the R33 GT-R and there were only 99 produced. The 400R had the RBX-GT2 engine which was a further tuned version of the RB26DETT producing 400hp at 6800rpm (10,000rpm limit). A larger bore and stroke, utilizing special pistons/connecting rods, a new crankshaft and a strengthened engine block increased displacement to 2771cc. Intake upgrades also included an upgraded intercooler. Torque was increased to 346ft-lb @ 4400rpm. A 5sp gearbox was still utilized along with a twin-plate clutch to handle the connection between axle and transmission. The 400R had a revised stance thanks to a 30mm drop and Bilstein gas shocks. This and a tire size increase to 275/35/18 increased handling. 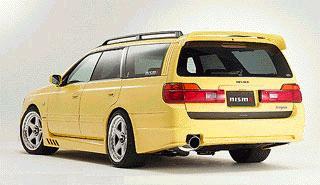 Exterior changes included larger air intakes and a more aggressive spoiler.